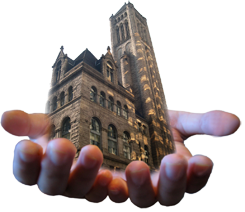 The Allegheny County Bar Foundation provides the information on this site as a service to its members and the public. The legal information contained on this site does not constitute legal advice. If you have specific legal questions, please consult an attorney. If you need an attorney, please contact our Lawyer Referral Service at 412-261-5555. In no event will the ACBF be held liable to any party for any damages arising in any way out of the availability, use, reliance on, or inability to use the ACBF website. Links: All links on our site are provided to help locate resources that may be of interest, and does not impute ACBF sponsorship of those “linked” organizations. The ACBF does not guarantee the accuracy or availability of the content on other sites to which we link. Website usage/Completing and submitting online forms: Certain activities on this site may require the user to provide information about themselves which he/she provides by filling out and submitting an online form. This is completely optional. In some instances, the user may provide a credit card number to purchase certain products or services. Such information is collected, stored, and used consistent with all applicable laws and in a manner appropriate to the nature of the user’s request.